Meet 5ft tall (58in) Big Daddy from our Monkey family – he’s possibly the biggest stuffed Monkey you’ve ever seen! This adorable giant monkey will make you smile, and bring a lot of joy to someone you love. He is so soft and huggable, with super cuddly mocha brown fur. Big Daddy has a silly monkey face, big hands and feet, long arms and legs and a floppy long tail. 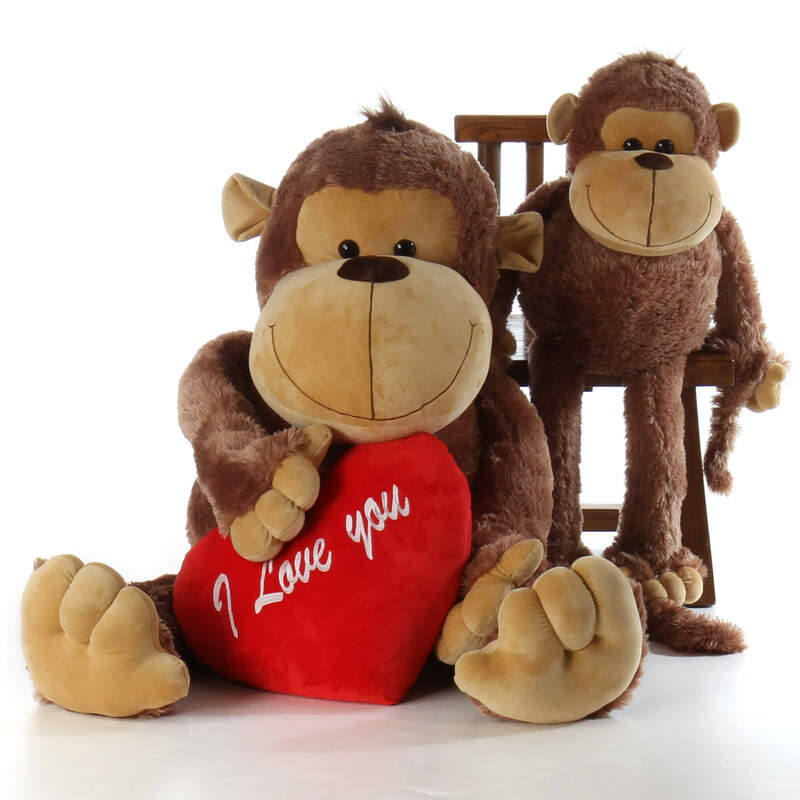 He’s holding a giant plush red ‘I love you’ heart pillow(Will not be attached [sewed] to monkey), and is a wonderful gift for someone you love who loves monkeys.